Thank you, Charlene. You have a lovely blog. I look forwarding to reading more of it. This is amazing. Looking forward to when you unwrap your jar. I’m excited to read all 1,095 good things! An interesting record of my life for sure. Love this idea! I started a gratitude journal around this time last year but never kept up with it. When things around me are out in the open, I can’t help but ignore them. (Well, except for my dirty dishes. 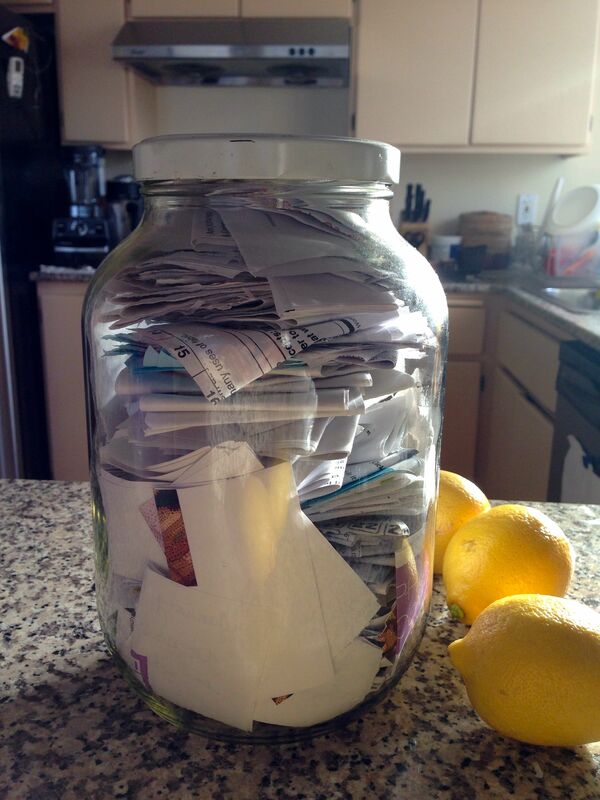 I really should do those tonight…) I’m going to find a jar and start this tonight! I had a gratitude journal too, but I was never consistent about it. There is something about physically seeing the jar. And watching it fill up is so cool. Even on my worst days, I could always come up with three good things.